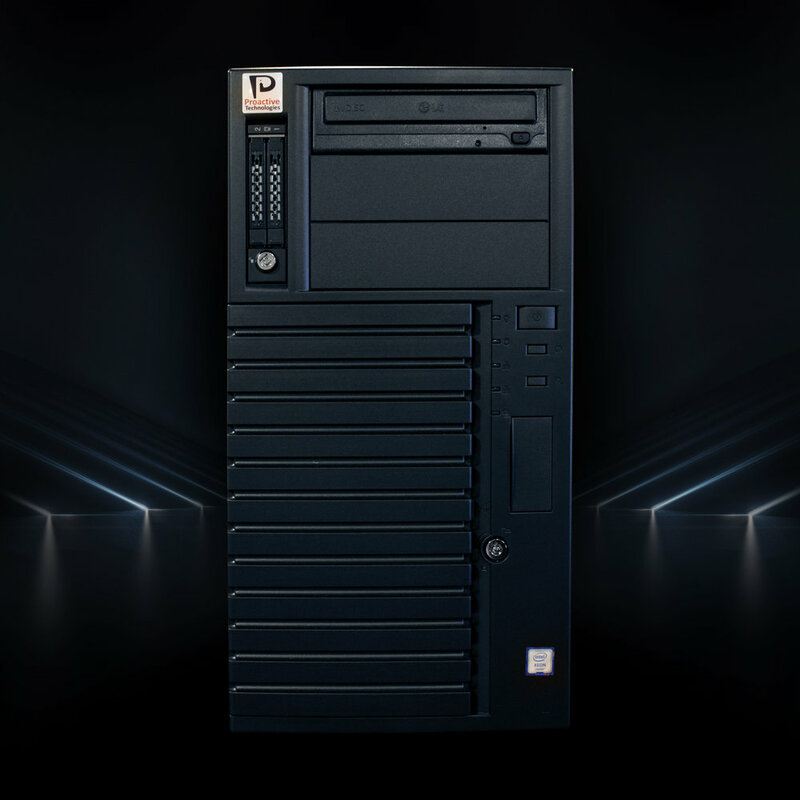 Proactive Technologies offers purpose-built computing solutions of the highest quality that are hand built and tested to meet our forward-thinking standards. The latest technology with the highest quality components and our matching lifetime support. We love what we do and our stand proudly behind our systems. Proactive Technologies offers only the highest-quality components in our customized systems, which are hand-built and tested in our facilities by the same specialists behind our state-of-the-art storage and networking solutions. We believe in delivering proactive service to keep you up and running with our lifestime support, weekly product line checks, clean OS installs with the latest drivers and patches applied for every new system. Our clients choose Proactive Technologies because we understand the industry and we know our machines. Our company and staff have long standing experience and reputations in the industry of providing top quality products and service. Proactive Technologies' core belief is having top quality components is the only way to have a top quality system. Not only do we only use products that meet our high testing standards but our systems always comes with a clean OS install, latest drivers and patches, and meticulously assembled and organized components and cables. We never want your system to slow down or fail from bad components and especially not from slow and bloated software. Our systems are hand tested by the same staff that built them and so are the components we offer in them. All components in our product line are reviewed weekly and any trends in failure rates are acted upon immediately, leaving us with a highly reliable product line that continues to improve. We do not add a part to our products unless we feel we can stand behind it. This results in a high quality product, that works as it should. We understand that personal service must be a priority for small businesses. We are happy to provide as much help as you need, with no obligation to order. When you do buy a custom PC from Proactive, we are here to help you for life. Even when your parts warranty expires, we are happy to continue to answer your questions and even fix your computer with no labor costs.